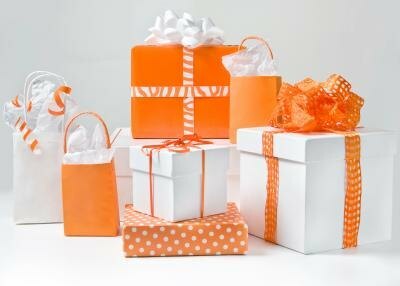 Grab bag gift exchanges are often arranged for office functions such as the holiday party. A spending limit is set and each guest must bring one wrapped gift to the event. All of the gifts are grouped together, and guests each choose one gift to keep. Because no one knows who will receive the gifts they contribute, gifts need to be unisex. While grab bag gift selection can be challenging, it is possible to find suitable gifts to please any recipient. Choose unisex gifts for the grab bag gift exchange. Gift cards are sometimes considered impersonal, but since the grab bag gift is anonymous, a personal touch is unnecessary. A gift card is a good choice for this style of gifting since it gives the recipient some choice over what to purchase with the card. Choose a gift card from a retailer that offers a variety of items, such as a department store, or give one for a product that almost everyone uses, such as gasoline. Some ideas for gift cards that can be used by most anyone include coffee shops, supermarkets, book stores, Internet tunes, chain restaurants and credit card debit cards. Gift cards are a great choice for men and women alike. Coffee shops and liquor stores sell gift sets year round, and many retailers stock a variety of nicely packaged sets during the holiday season. Purchase one of these sets for the grab bag gift, or put together one of your own. 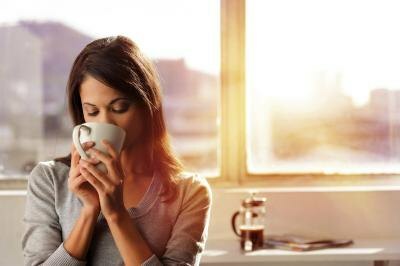 Place a package of flavored coffee inside a travel mug and wrap it in cellophane. Pair a martini glass with a bottle of mix, and wrap in a basket. Give a bottle of wine or a set of flavored teas that can be enjoyed by the recipient or used for entertaining. A gift set from a coffee shop is a good idea. Pick up a box of specialty chocolates or gourmet cookies. Give a pre-packaged cheese spread gift set or pre-packaged sausage and cheese set. A selection of fruit spreads can be combined to make up a gift basket. Other ideas for food gifts include specialty condiments, gourmet soup mix, flavored bread mixes and packaged candy apples. Gourmet chocolates or cookies are excellent in a gift bag. Purchase a stack of lottery tickets equal to the amount of the grab bag spending limit. 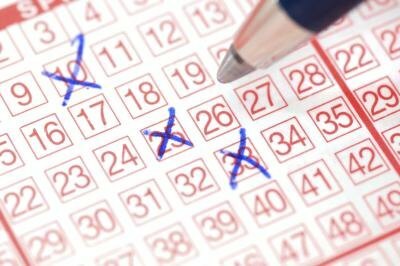 Several scratch-off style tickets can be an exciting gift to open, as well as an entertaining one for other guests who watch in anticipation as the individual scratches the cards to reveal whether or not she has won a prize. Lottery tickets are fun gifts. Digital photo key chains are available in many brands and sizes. There are many models available, which cost between 10 and 30 dollars, affordable for grab bag gifting, which usually has a set spending limit within that range. The digital photo key chain is a key chain with an LCD screen. Depending on the model, the recipient can upload one or several digital images to display on the key chain screen. This gift is good for anyone as it takes one’s favorite photo and makes it portable and accessible to show off at anytime. A digital photo key chain is a fun addition to any key ring.